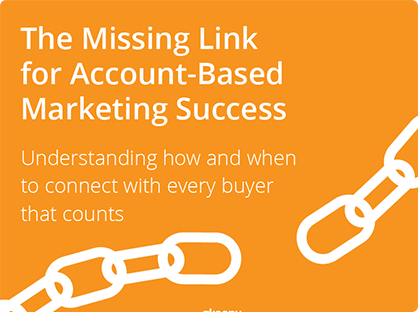 Successful ABM requires understanding how and when to connect with every buyer that counts. Account-based marketing (ABM) is a buzzword that has been used in the industry for some time, but ABM as a strategic marketing approach has just recently increased in popularity. 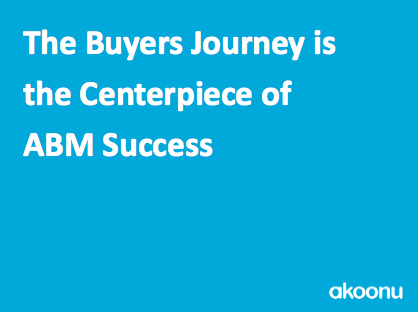 For B2B vendors, their internal sales cycle is a reflection of their customers’ buying journey. The buyers’ journey involves multiple people within an organization (or account) vs. a single person. This group of individuals consists of collective decision-makers who all influence purchasing in different ways, in different degrees, and at different times on behalf of their company. ABM represents a major shift in the traditional Marketing focus from pure lead generation across all companies to lead generation AND ongoing nurturing specifically to a named set of accounts that the Sales team is also targeting. ABM is essential to strategic marketing because it helps marketers identify who the people are within an account and then provide them with high quality content and opportunities for appropriate interactions at each stage of their journey. But in order to effectively serve buyers, Marketing needs to know more than just the names and titles of those in an account. They need an in-depth understanding of these buyers and how they buy. That’s why Marketing must work hand-in-glove with Sales to develop persona-based journey maps and choreograph Marketing and Sales actions to the buyers’ journey. Journey maps are the centerpiece of ABM and without the strategic insights they bring, ABM becomes just another lead-generation tactic, minimizing Marketing’s ability to support the sales process. In this article, we will define the buyers’ journey and discuss strategies for Marketing and Sales to align to create journey maps and work closely together along the way to realize ABM success. 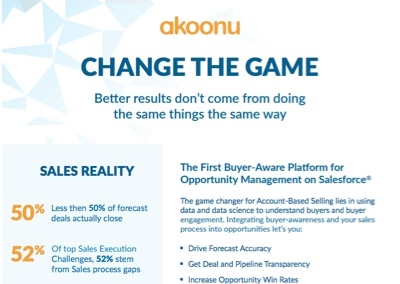 ABM tools that help Sales and Marketing better identify targets do currently exist. But ABM must be thought of as more than just retargeted advertising. Identifying groups and targeting ads are only the initial steps. From there, Marketing, in conjunction with Sales, needs to implement targeted, effective relationship building with those audiences. For an ABM approach to be successful, marketers need to have a deep understanding of the identified targets – how they buy, how they interact with each other, their individual challenges, pain points, buying criteria, participation levels, needs, and content preferences at every stage of the buying process. This level of in-depth knowledge is critical to strategic and effective marketing and selling to buyers. Persona-based buyers’ journey maps are the key to unlocking this critical information into your buyers and how they buy. A journey map is a framework that describes, in detail, the steps that each buyer persona executes from initial consideration of a solution to its purchase, implementation, and use. Buyer personas are representations of the actual buyers influencing purchasing decisions and are based on real people, data, insights, and experiences. Journey maps are not just vendor checklists detailing what Sales has to say or provide and when they have to do it. In today’s buyer-centric B2B environment, vendors can no longer view the buying journey solely from their own perspectives. Today’s journey maps must be from the buyer’s point of view and detail the collective path that each buyer persona – and all personas together as a group – go through to solve their business challenges. They provide a rich understanding of how buyers discover, learn about, and choose solutions and, over time, how they use those solutions to improve their business. Why Are Journey Maps So Critical? Today’s B2B marketplace is crowded and highly competitive. Potential buyers are barraged with information, promotions, and content, making it increasingly difficult to capture their attention. On top of this information overload, B2B buying processes are complex and include multiple people – all with different roles and needs – influencing decisions at every step. Successful companies will differentiate themselves to buyers through a unified buying experience that provides relevant, engaging content and messaging at the most appropriate and opportune times. This requires Marketing and Sales to align around the interests and outcomes important to the buyer. While ABM initiatives may help you find the right people to target, journey maps are going to provide you with the knowledge required to effectively nurture and engage each member of the buying group with valuable, timely information relevant to their needs and desired outcomes at each stage. How Do Marketers Create Journey Maps? The first step in creating journey maps is to develop buyer personas. This includes defining individual challenges, goals, concerns and buying criteria – basically all the attributes that make them unique and will help marketers create different content and messages that will resonate with one persona vs. another. Discovering and Learning, where buyers seek education on an issue and learn about various solution options. These stages require vendor marketing initiatives to engage buyers, although there may be some sales engagement involved. Choosing and Purchasing, where buyers cut their long list of solution options into a short list, make a selection, and prepare for owning and deploying a solution. These stages require active sales engagement supported by marketing activities and content. 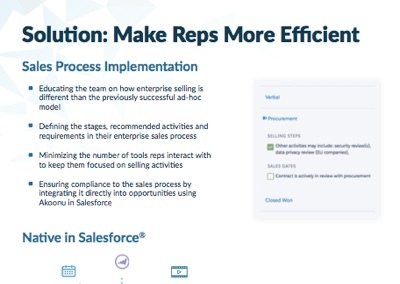 Implementing, Proving, and Owning, where buyers own and employ a solution. These stages require assistance from Product and Services. 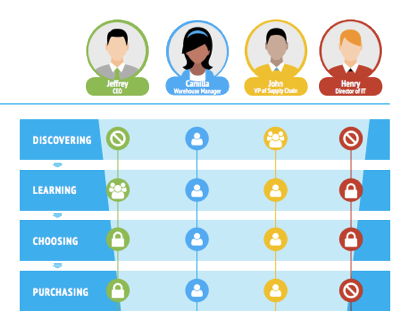 Participation Level: Capture the participation level of each persona within the buying group at each stage, including drivers, participants, gatekeepers and those not involved at a certain time. Needs: Identify what each buyer within the group needs in order to go through their buying process at each stage, including information like product capabilities, process requirements, budget approval or internal alignment. Activities: Define what each buyer within the group is actually doing at each stage to fulfill their needs, including group actions like budget meetings or individual actions like online research. Barriers: Know what concerns, obstacles, or perceptions must be sufficiently addressed internally by one or more of the journey participants and/or by the vendor in order for the account to move onto the next stage of the buying journey. Content Preferences: Determine what type of content each persona prefers at each stage. Defining these dimensions for each persona at each stage of the journey gives you insights on how to inform and influence buyers, tailor messages for the right buyer at the right stage, and target relevant content at the moment it will have the most impact. For an ABM initiative to be successful, Marketing and Sales need to align on who the target audience is, how they buy and how/when each team engages with buyers throughout the journey. Journey maps are the pathway for making this happen. Within many organizations, Marketing and Sales may not be completely aligned on the target audience, resulting in a disconnect in quality leads or the right content and messaging to support Sales’ needs. There can also be a disconnect on when and how Marketing and Sales interact with leads. Without mutual understanding of the buyers’ journey, Marketing can easily do things that interfere with the sales cycle. By Marketing refocusing its efforts on accounts vs. individuals and collaborating with Sales to build journey maps, it ensures alignment on account audiences and its own level of interactions with leads at each stage of the buying journey. According to a study released in April 2015, 20% of marketers had fully implemented ABM, while 60% were actively investing in technology over the next 12 months. With a large part of the industry ready to take the plunge, ABM is becoming a way of life for the modern-day marketer. However, B2B account-based selling has been around for a long time. For marketers to get the most out of ABM, they must begin by collaborating with Sales to define the buyers’ journey. Once you gain insights on the individual needs and preferences of each participant and determine how to address them, your campaigns, content, and sales actions will be strategically aligned. Only then can you unleash the true marketing power and revenue potential of ABM. 2017 © Akoonu, Inc. All Rights Reserved.